In northern parts of New York, such as Albany, Saratoga, Lake George and Plattsburgh, Asian Beetles hibernate in cooler months, though they will wake up and move around whenever the temperature reaches 50 °F. The beetles will use crevices and other cool, dry, confined spaces to sleep for the winter, and, if given a large enough opening, significant numbers may congregate inside walls. Asian beetles use pheromones to “call” each other, allowing for the large gatherings that are often seen in the Autumn. They frequently congregate in sunlit areas because of the heat available, so even on fairly cold winter days, some of the hibernating beetles will “wake up” because of solar heating. Inside your home, Asian beetles tend to form groups that stay in upper corners of windows, or on dark screening material for its warmth. They have good eyesight, and will return to the same spot if removed, and have been known to produce a small bite when provoked. Asian Lady Beetles, like other lady bugs or ladybirds, use isopropyl methoxy pyrazine as a defensive chemical to deter predators, but in much higher concentrations than other species. These insects will “reflex bleed” when agitated, releasing hemolymph (a fluid equivalent to blood in most invertebrates) from their legs. The liquid has a foul odor (similar to that of dead leaves) and can cause stains. Some people have allergic reactions, including allergic rhinoconjunctivitis when exposed to these beetles. Sometimes, the beetles will bite humans, presumably in an attempt to acquire salt. Bites normally do no more harm than cause irritation, although many people feel a pricking sensation as a lady beetle walks across the skin, and a small number of people are allergic to bites. If you are dealing with an Asian beetle infestation inside your home, contact us for a free inspection. 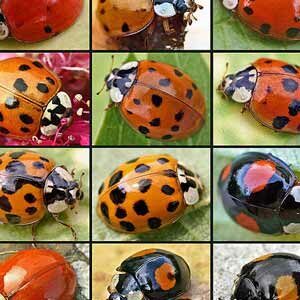 We provide Asian beetle and lady bug insect control from Albany to Plattsburgh NY and in Western Vermont. To schedule an appointment by phone, call (518) 745-5958 in New York and (802) 855-2978 in Vermont.